Separating from your partner can be complicated. There are various ways to manage the process. You should seek legal advice as early as possible. It may save you a lot of money, either by making sure that you obtain a fair outcome, or by avoiding the cost and delay of going to court. You can follow different paths to resolve your family law dispute. The Family Court of Western Australia encourages you, and your family lawyer will encourage you to try and reach agreement about financial and/or parenting matters, before you go to court. If you can negotiate a settlement, you retain a degree of control over the outcome. If you end up in court, you effectively hand over the responsibility of resolving your dispute to an independent Judicial Officer, who may make a decision that you or your ex-partner might not like. Family Dispute Resolution is a form of Alternative Dispute Resolution (ADR) used mainly in relation to parenting disputes. You must, with only some exceptions, attend Family Dispute Resolution conducted by a qualified Family Dispute Resolution Practitioner before you can file a parenting case in the Family Court. The Family Court can order you to attend further Family Dispute Resolution after proceedings have been issued. A Mediation Style Conference is another form of ADR and follows a procedure designed specifically for family law financial cases. You can deal with parenting issues at a Mediation Style Conference although this is not common. The Mediation Style Conference will usually be chaired by an independent mediator who is often an experienced family lawyer, a barrister, or a retired Family Court judge. Lawyers for each party will also attend the conference to provide advice along the way. The conference can take a half-day or a full day depending upon the complexity of your matter. A Mediation Style Conference can be expensive. However, if you reach a settlement, you will probably save a large amount of money by avoiding court proceedings. You cannot negotiate a divorce. You must obtain a divorce order from the Family Court to terminate a marriage. You must have lived separately and apart from your spouse for at least 12 months prior to filing your divorce application. A divorce order does not resolve parenting or financial matters. If you and your ex-partner can’t reach an agreement in relation to parenting or financial matters, you have no option but to file court proceedings. Just because you file proceedings, it does not mean that you will end up at a trial. You will have many opportunities to settle your case before then. Most cases do settle before trial. However, generally speaking court proceedings should be an option of last resort. It can be expensive, stressful and it can take a long time to get a result. You may also not get the result you intended. 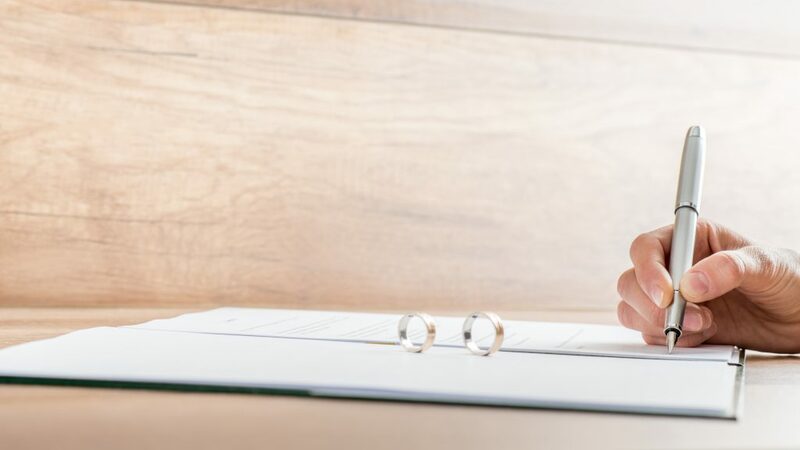 However you choose to deal with the issues arising out of your separation, it is wise to seek legal advice as early as possible to ensure the best outcome for you and your family. Paterson & Dowding based in Perth, has an experienced team of dedicated family lawyers, Accredited Family Law Specialists and nationally accredited mediators, who can assist you to resolve your family law matter. Call Paterson & Dowding today on (08) 9226 3300 or visit www.patersondowding.com.au to find out more.